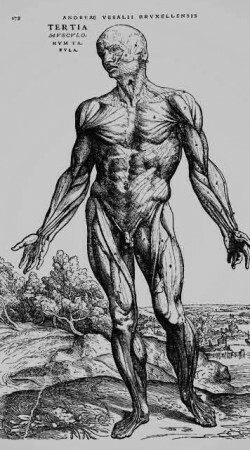 On the structure of the human body is a treatise on anatomy from the 16th century and one of the most influential scientific books of all time. 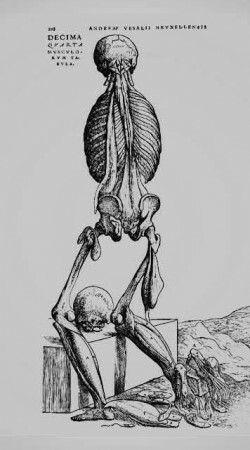 Written by Andrés Vesalio in 1543, when he was just 28 years old, its diagrams are some of the most perfect xylographs ever made. 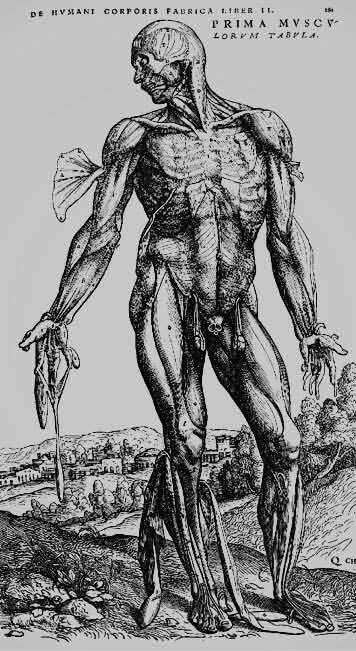 Various renowned artists, including Johannes Stephanus of Calcar, a disciple of Tiziano, help to make them, and they are far superior to the diagrams from the anatomic atlases from the period, commonly drawn by anatomy teachers themselves. 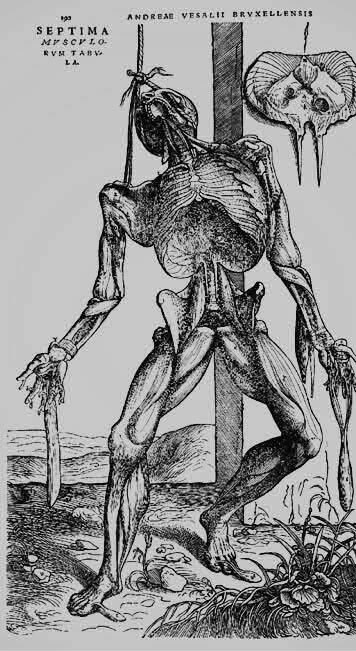 The painstaking care that went into the making, editing and printing of this work make it one of the best examples in terms of book production from the Renaissance, with 17 full-page designs, and some hundreds of smaller illustrations that accompany the text. 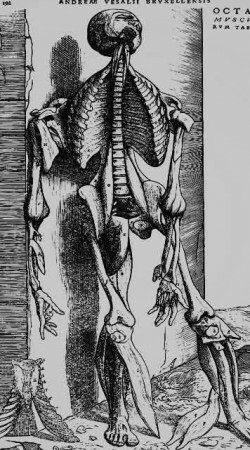 The book is based on the lessons that Vesalius dictated throughout his teachings at the University of Padua, during which he strayed from common practice and made numerous dissections of bodies to illustrate his ideas. 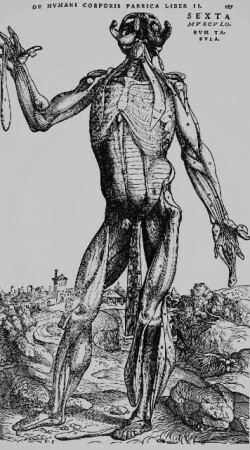 Accordingly, the work points to the importance of dissection and of what would be come to known from then on as “anatomical” vision of the human body. His anatomical model breaks with the established norms and is one of the first and greatest steps towards the development of a modern and scientific medicine. 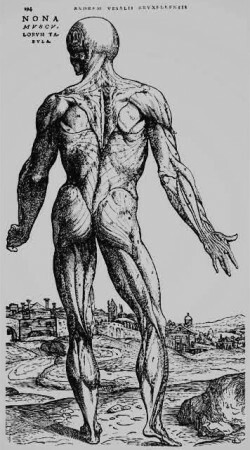 The work is divided into six parts, or “books’, and they comprise a complete overview of the human body. The term, “fabric”, has architectural connotations. 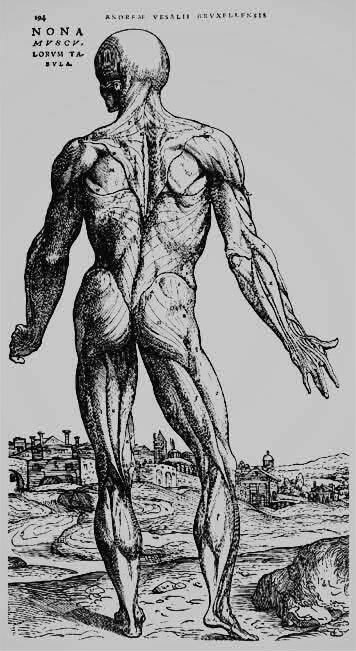 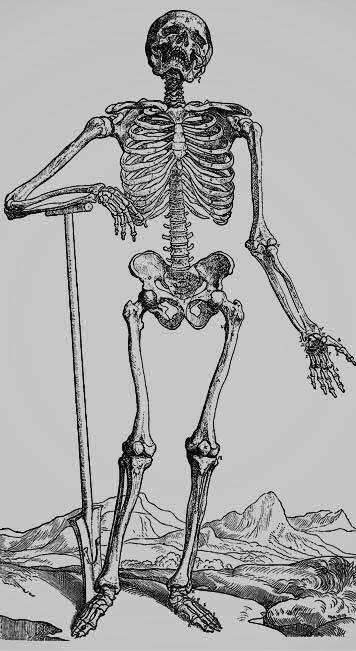 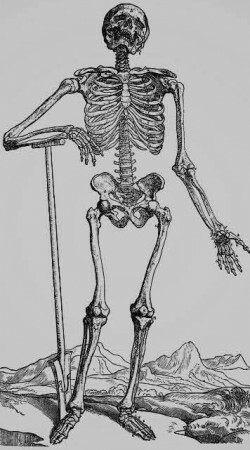 In his description he moves beyond the bones, ligaments and muscles, that make up the bodily structure, to study the connecting systems (veins and nerves), and the life-giving systems. 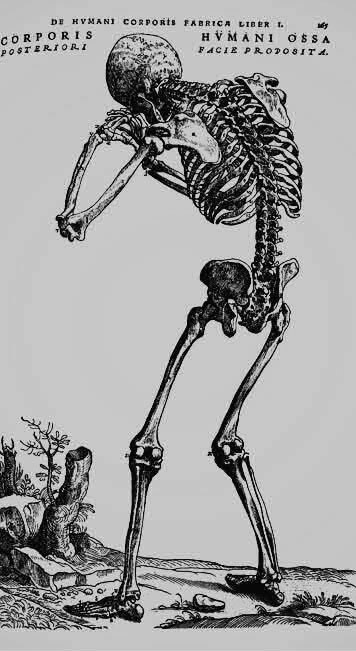 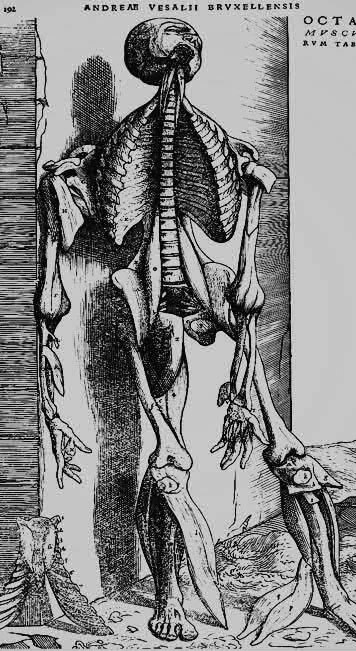 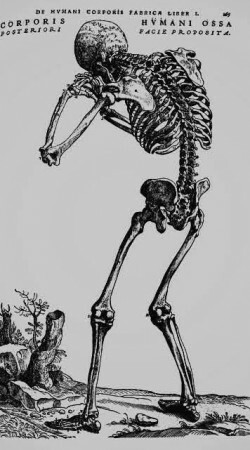 As well as making the first valid description of the sphenoid bone, Vesalius showed that the sternum consists of three parts and the sacrum of five or six; and he meticulously described the channel on the inside of the temporal bone. He verified Etienne’s observations around the valves in the hepatic veins, discovered the azygos vein, and discovered the channel in the foetus that communicates with the umbilical cord and the vena cava, subsequently named the ductus venosus. He also discovered the omentum, and its connections to the stomach, the spleen and the colon; he proffered the first correct notion of the structure of the pylorus; and he noted the small size of the appendix in men; he gave the first valid descriptions of the mediastinum and the pleural cavity, as well as the most accurate explication of anatomy of the brain for the time. 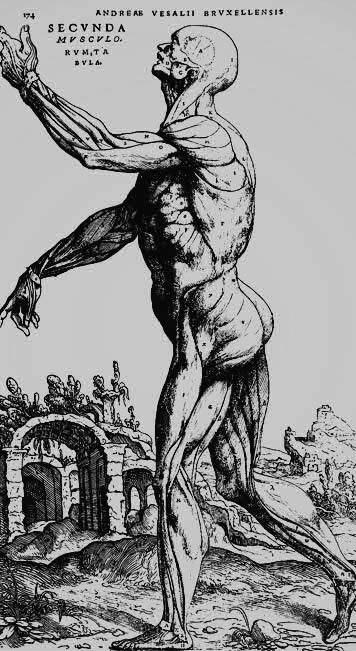 De Humani was reprinted in 1555 and to date there hasn’t been another print.